guard and a long grip to accommodate both hands of the samurai. Now, samurai swords are not only used as a weapon but also a piece of art that can be used as a decor. Just like any collectible item, samurai swords need special treatment to maintain their beauty and usefulness in the many years to come. But maintenance and cleaning of a samurai sword might be quite expensive once you have brought it into a professional, so here are some tips on how to properly take care of and maintain your collection of samurai swords. It is always important to remove oil and debris from the blade of your sword using a paper towel or a clean cloth. For your protection, hold your sword with the sharp edge away from you while cleaning it. After cleaning the sword with a paper towel, apply a few drops of oil in each side of the blade and spread it using a paper towel. You should also note that it is essential to do this every one to six months. 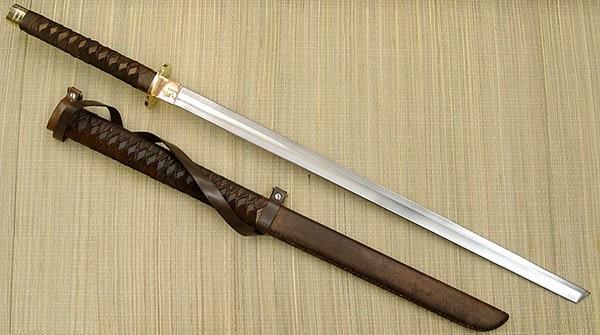 A samurai sword is not only made up of a blade but also some wooden parts for the handle and the guard. For these parts, you can use special lacquer, varnish, wax or even lemon oil. After doing these first three steps, it is now important to polish the brass components of the sword using either Brasso or Autosol. If your sword has leather elements in its scabbards, sheaths and handles, it is essential to clean those using a quality paste wax to preserve its beauty. It is always important to properly take care of your swords so its beauty can last for a longer period of time. Following the mentioned tips above, you will be ensured that your swords will be proudly displayed in the home of your next generation. Recommended resources: Swords of the East are proud to offer today’s finest martial arts weapons for modern Samurai and collectors.